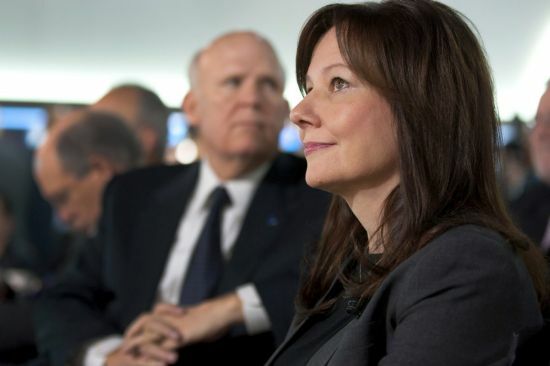 On Tuesday morning, GM named Mary Barra as its new chief executive. With this announcement, Mary will be the first woman to head up a major U.S. car company. She will succeed the current chairman and CEO, Dan Akerson, on January 15. Akerson will leave the company on Jan 15 to spend time with his wife, who is suffering from advanced stage cancer, according to GM. Since February 2011 Barra has held what many say is the most important job in the company – senior vice president for global product development. She’s in charge of design, engineering and quality of all of GM’s vehicles across the globe and has shepherded most of the company’s recent new vehicle introductions. Barra has risen through a series of manufacturing, engineering and senior staff positions, and is now in charge of reducing the number of platforms on which GM builds its vehicles. Her father worked as a die maker at GM (Pontiac) for 39 years. This is great news for GM and the auto world in general. We wish Mary the best of luck in her new gig! This entry was posted in News and tagged Dan Akerson, GM, Mary Barra by northredline. Bookmark the permalink.